While having clients and customers world-wide and providing them with first class support via email and phone, we are well aware that it sometimes is important to be able to contact a local company directly and get on-site support, particularly where English isn't the first language. 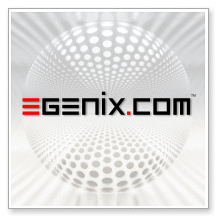 For this reason we are setting up a network of eGenix.com Partners who are authorized to resell our products. healthcare management through use of EHRs, decision support and care plans. Interested in becoming an eGenix.com Partner ? If you are interested in joining the network, please contact the eGenix Sales Team for details.